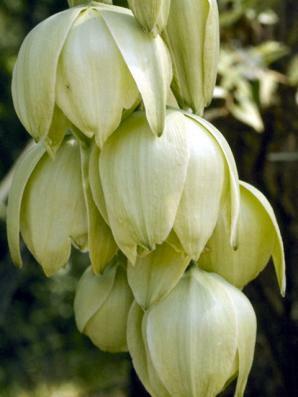 Yucca angustissima Engelm. ex Trel. var. mollis Engelm. 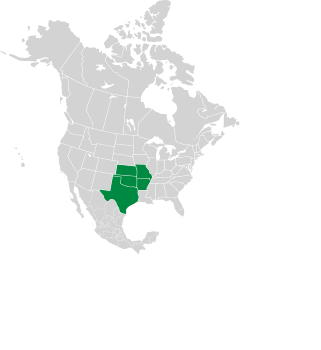 The arkansas yucca is a native of North America. 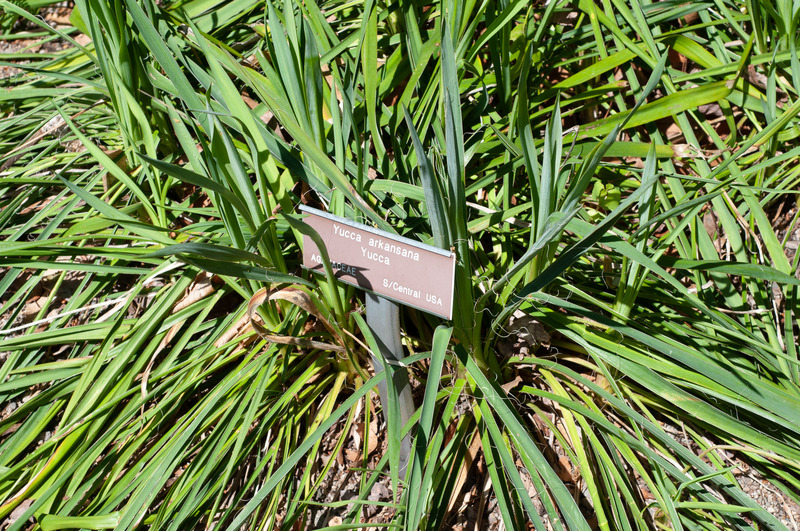 Identification: Plants reach 24" (60 cm), or up to 7' (2.1 m) with the flower stalk. Leaves are 16-28" (40-70 cm) long, wide at the base, narrowing toward the tips, like large grass blades, with white twisted wiry filaments. They are bluish- to yellowish-green. The flowering spike is covered with numerous greenish-white or purplish urn-shaped hanging flowers, each with 3 petals. Seed capsules are dark brown. Photo by Edith Bettinger, from the Lady Bird Johnson Wildflower Center Slide Library. 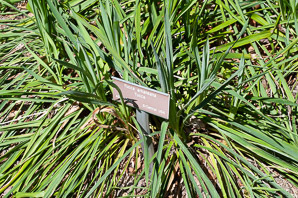 Yucca arkansana description by Thomas H. Kent, last updated 2 Jan 2019.